The Irish Export Cooperative are proud to be a part of the Clicktailing programme run in conjunction with the NDRC (National Digital Research Centre), helping 20 companies to set up an online presence from scratch to launch in just 5 weeks. When they needed help, they asked a number of organisations including the Irish Export Cooperative and our own Chris Gordon for help with developing the Logistics and Shipping modules of this important programme. Applications for the programme are now closed, but here are some of the topics covered over the course of the few weeks. – Get product styling advice from professionals. – Learn photography techniques that you can do at home. – Work with the pro’s to understand why a good picture can sell a product. – Packaging, cost considerations, volume, weight and insurance. 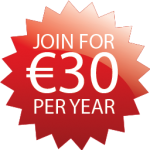 – Choices, pay per parcel, pay per load, part fulfillment. – Your policy and how to manage returns. We’ll have plenty more details of the course and will be releasing our experiences on working with these brave retailers for the time we are together. 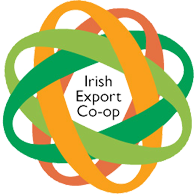 The Irish Export Cooperative would like to thank the NDRC with Mark and Fiona for pulling the programme together and making it easier for companies to get the assistance they need to get their shops off the ground!